Laser is used for work with different welding materials. Among all standard metals and alloys like carbon steels, iron and nickel, this highly accurate welding technology allows precise work with reflective and conductive metals – copper and aluminum (and their alloys). Laser is the best choice for welding work on “high melting point” materials – tungsten, molybdenum, as well as thermoplastic materials which could be laser-welded. Micro laser welding allows usage of thin metal sheets – foils down to 0.002” (or 50 µm) – could be fused to solid parts. 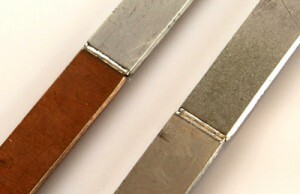 Laser welding allows avoiding “burn through” while working on thin metal foils.